Also that guy is beefy. Yeah, he kinda reminds of Michael Madsen with that frame and the way he's standing. Anyone else think of that? How do these screen confirm that its only 1 protag? Just because it shows the duster coat guy? Why do I feel like you're the only person who'd notice that? This doesnt confirm a single thing. Lets not jump on people until theres confirmation, alright? Actually it would be cool to native americans with war paint on horses. I don't know about horse makeup lol, but the horse second from the right in this image appears to have a different saddlebag setup to the others. pic showing the town has a saloon called "Smithfields"
Rings are the new fingerless gloves. 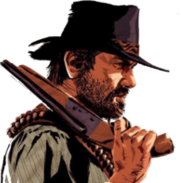 We never forget Rockstar's betrayal of implied promises. where was it ever confirmed that he worked at their offices? Not IMO. The "burley" guy might only be in two pictures (both where he's wielding two guns). 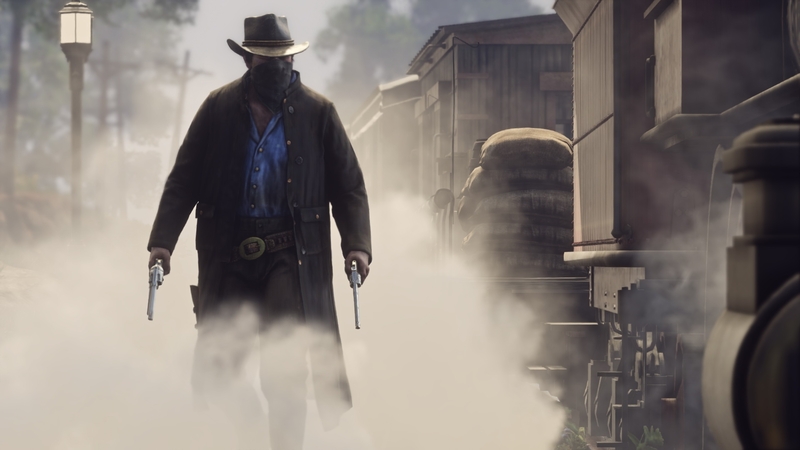 The shot in the forest and the one on horseback in the town aren't definitively him - the outfits are different, straps on the back on both that don't appear on the burley guy's in screen next to the train. They also led the announcement with a shot of four people, so there's really not any focus on one character in particular. I think the reasoning behind that specific assumption is due to the fact that the guns are extremely detailed. Could just mean nothing though. 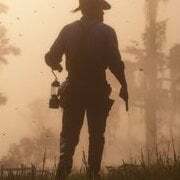 FPV would be dope in RDR, just my opinion. Why did my post to legacy get removed? The close up on the hands and guns seems to point at customization for both character and weapons, which thank god. Also they look like female hands as opposed to make. Those detailed guns definitely hint at first person mode I reckon. If you look at the other screenshots, you'd barely need to notice such detail unless you were in first person. The same feature came with next-gen GTA V as well, such as those Yusuf Amir decals. Those guns being detailed really mean nothing in regards to first person if you ask me. Models really are just that detailed now, and this being Rockstar's first attempt at a game made for this gen maybe you're all a bit surprised in the visual leap in terms of intricate detail from GTA V, but it really shouldn't be a surprise. The game will just look that good and detailed. You can even take into account photo mode (or in Rockstar's case, their Editor). 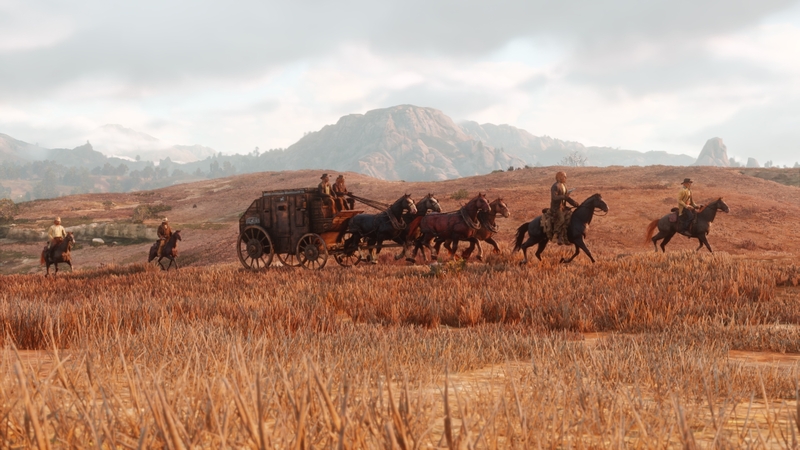 They're all the rage right now and seeing as Rockstar have it for GTA V on consoles it wouldn't be a leap to suggest it's gonna be in RDR2 at launch. I know where you're going with this but third person has it's advantages too, such as a much wider field of view and (IMO) easier targeting. It's not as clear as a day and FPS is certainly not a win-win situation over TPS. Whats up with GAF and stealing screens from here without giving credit? Didn't believe him to begin with. There's no way this story has anything to do with Marston's. whats the animal in the bottom left of the train pic?